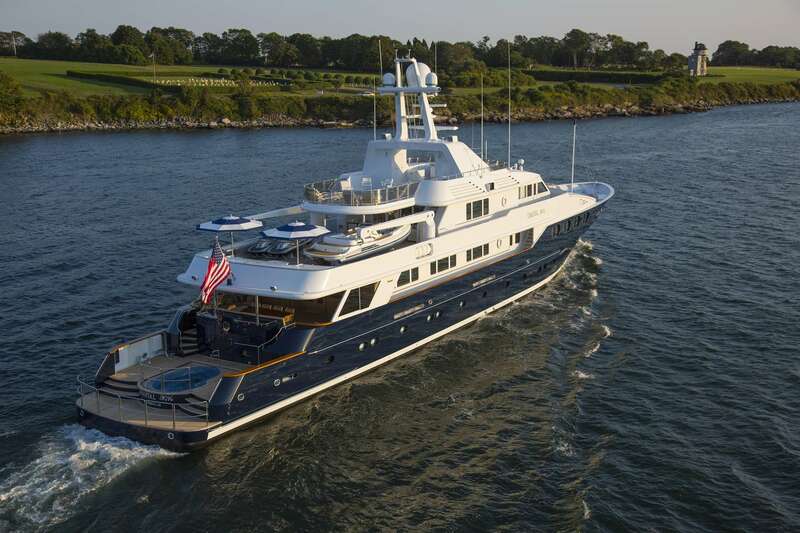 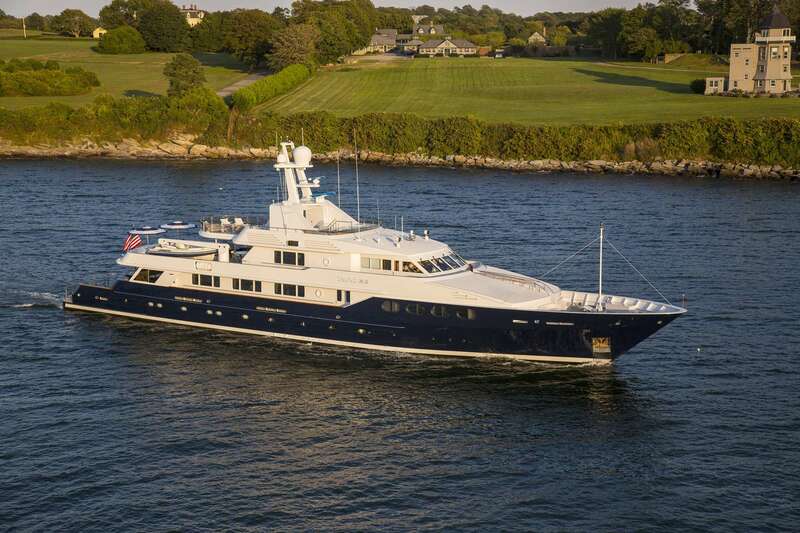 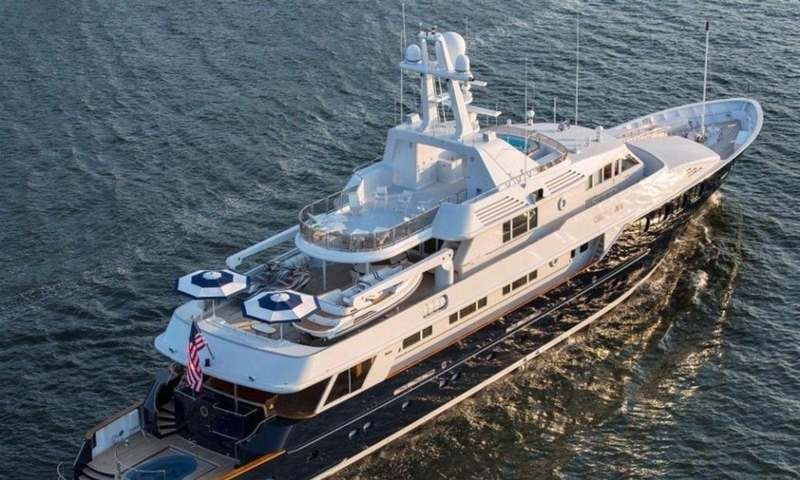 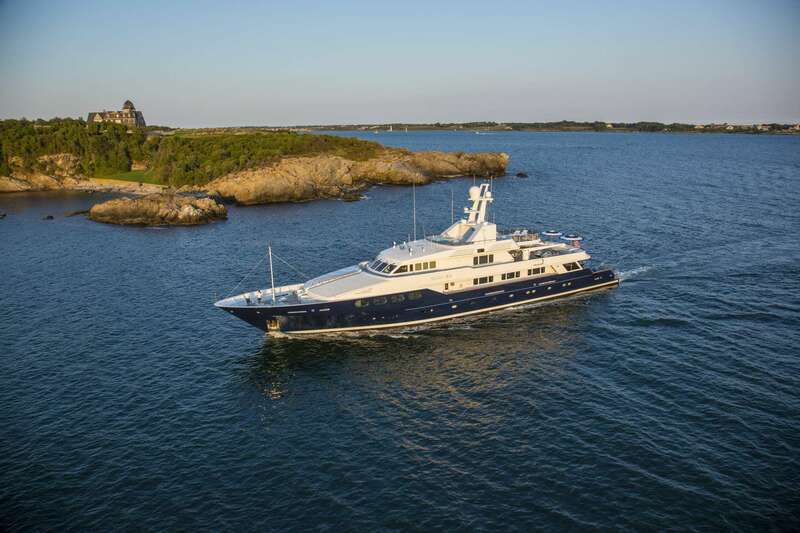 Built in 1993 and refitted in 2011, the 55m/179ft classic custom superyacht by Feadship was built with a steel hull and an aluminium superstructure. 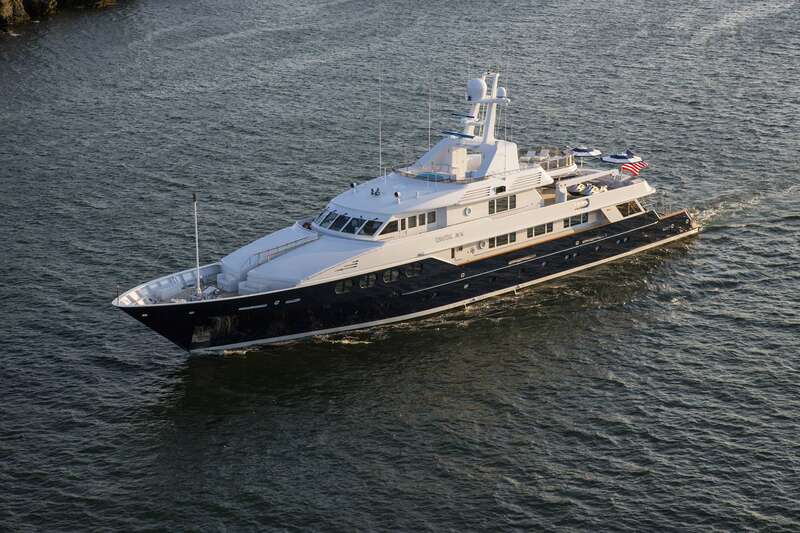 Her naval architecture and exterior styling is the work of De Voogt and her interiors from Bud Baty are decorated in ash and oak with silk wall coverings. 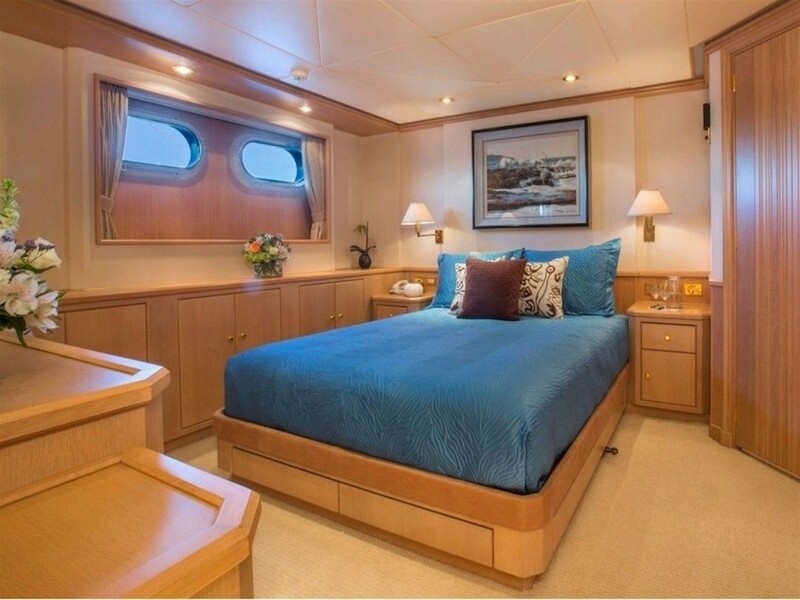 The accommodation sleeps up to 12 charter guests over six comfortable cabins. 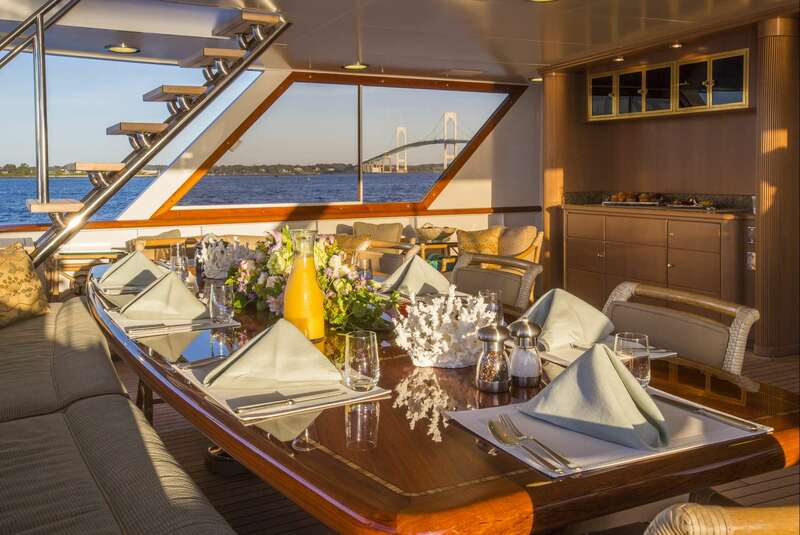 The main deck aft contains a large sofa and raised table for a shaded outdoor living and alfresco dining during your charter vacation. 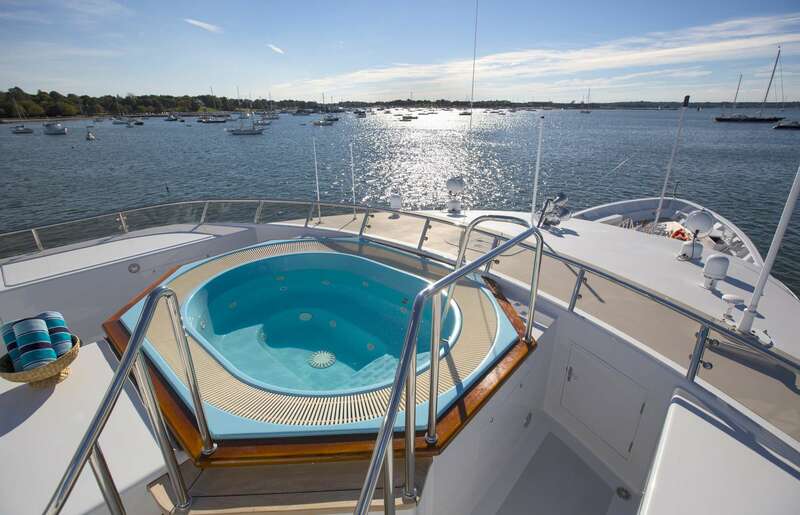 Behind, there is a large stern with a generous Jacuzzi and a swim platform, and each level is stepped to become lower closer to the water. 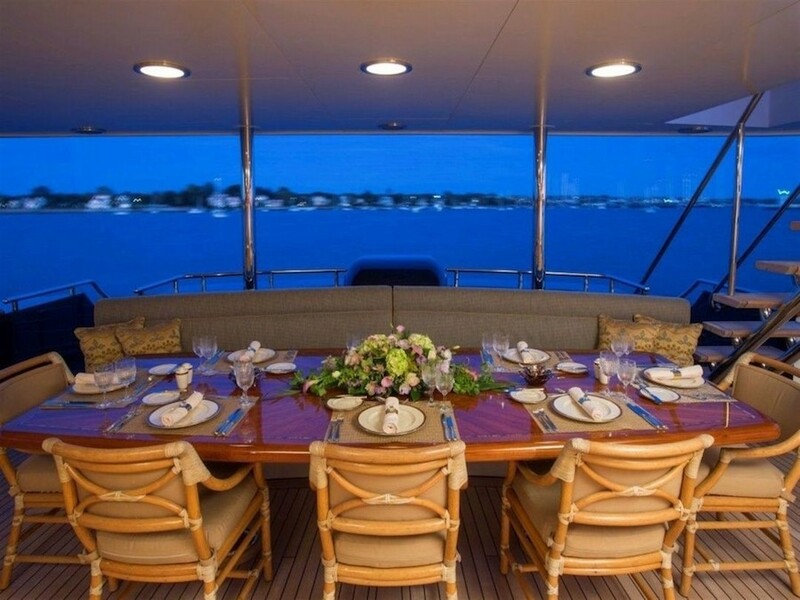 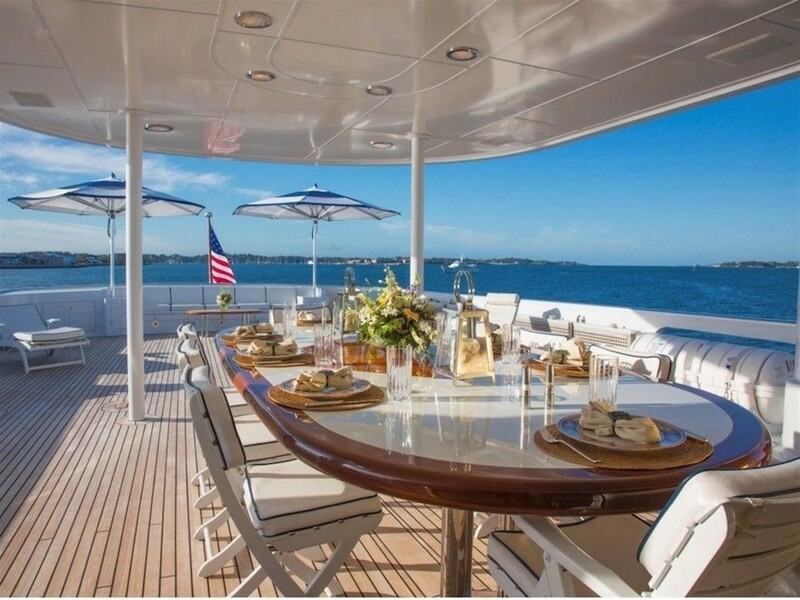 Above, the upper deck aft has an oval dining table under the shelter of the sundeck hardtop and after a meal, guests can relax in the sunshine sitting on the aft sofa or lying back in the sun loungers under the shade of a sun umbrella. 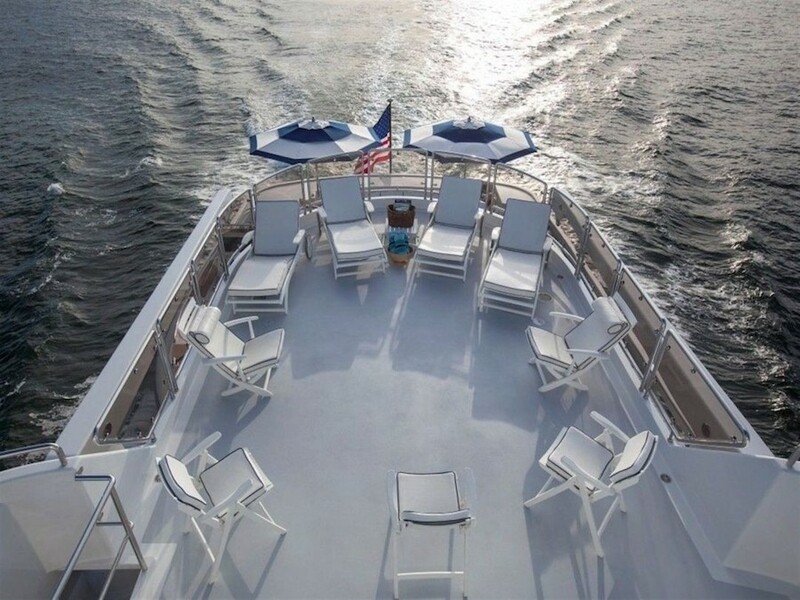 The sundeck, one of the most popular areas for charter guests, has plenty of sun loungers along the stern and the seating can be moved into the sunshine or the shade. 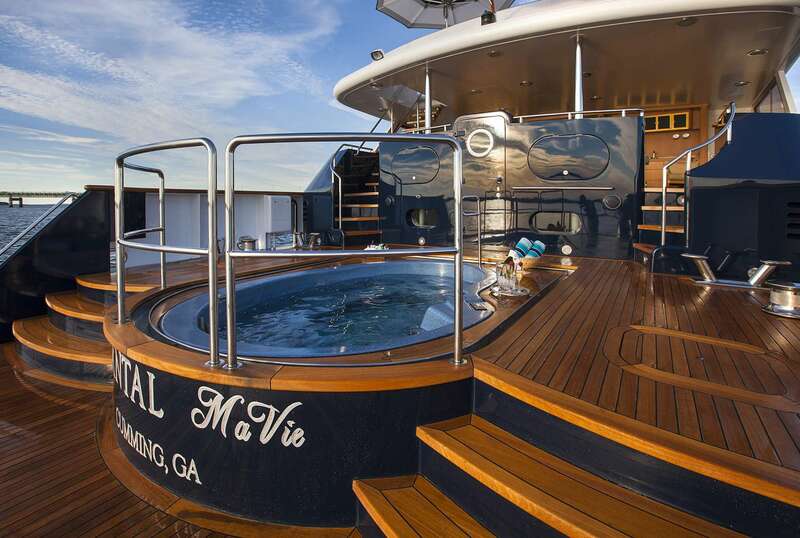 Forward, there are two additional sofas and a raised Jacuzzi for uninterrupted views out over the bow. 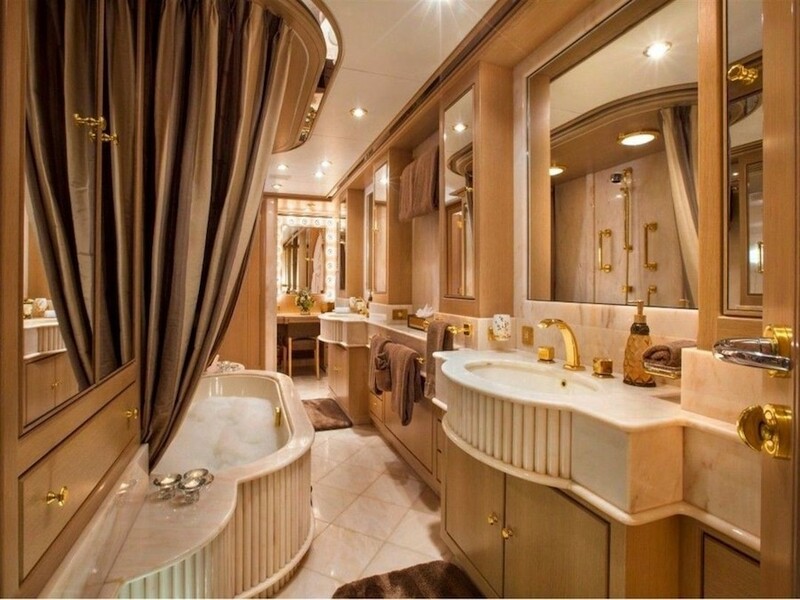 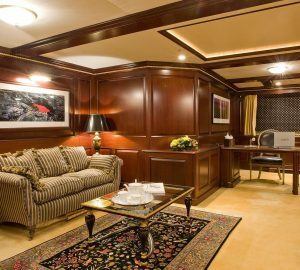 The lower deck hosts the guest accommodation, with two en-suite twin cabins to the stern, two en-suite double cabins forward and an en-suite VIP stateroom in front of the engine room. 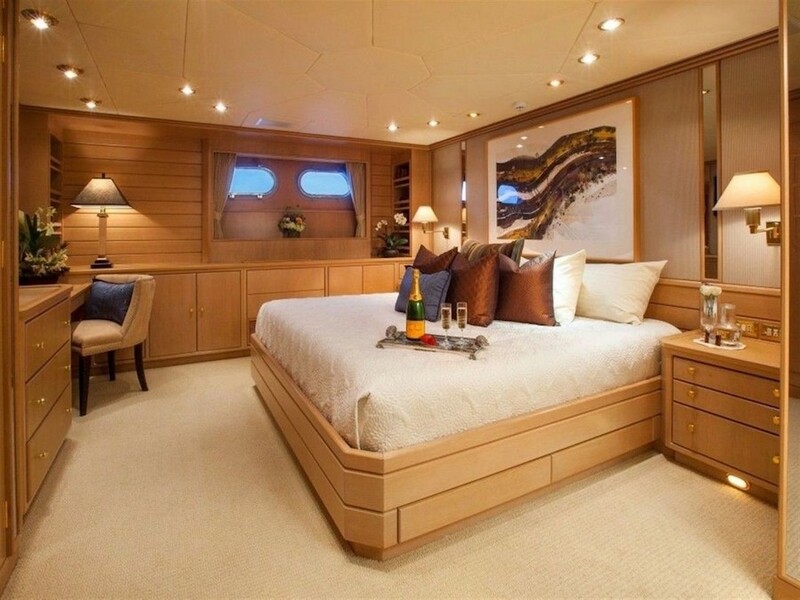 The crew accommodation is situated on the lower deck forward. 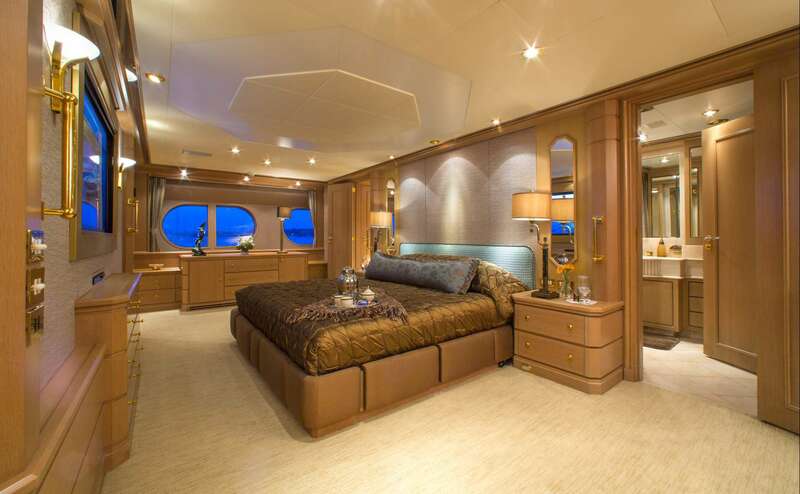 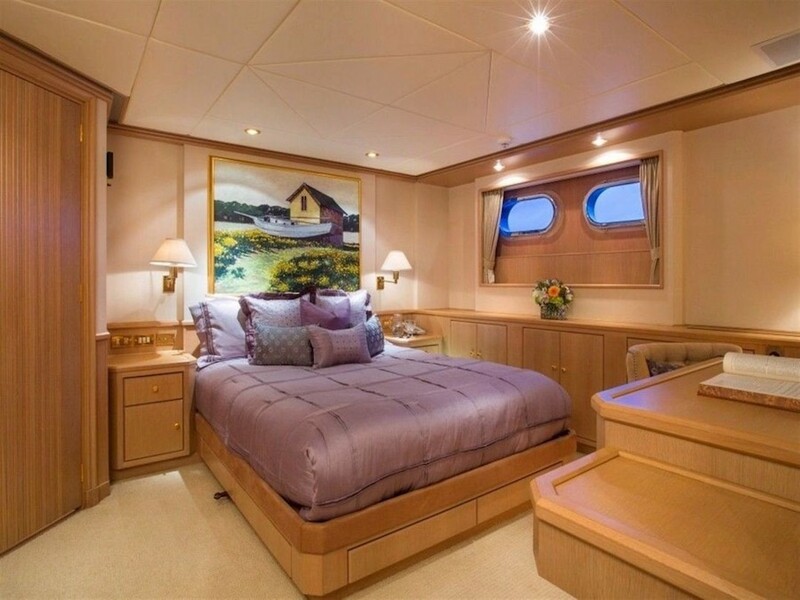 The full-beam Master suite is situated on the main deck forward and contains a lounge, private office and en-suite bathroom. 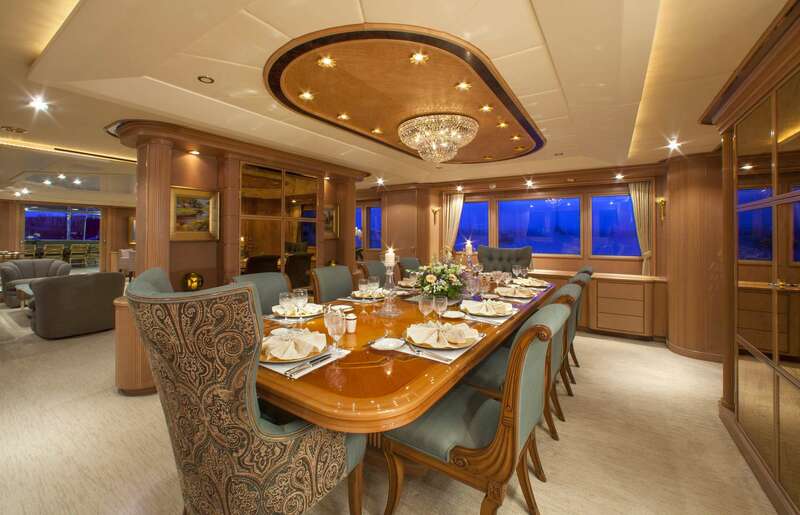 The forward formal dining area seats 10 guests and is classically styled in rosy coloured panelling and blue fabrics. 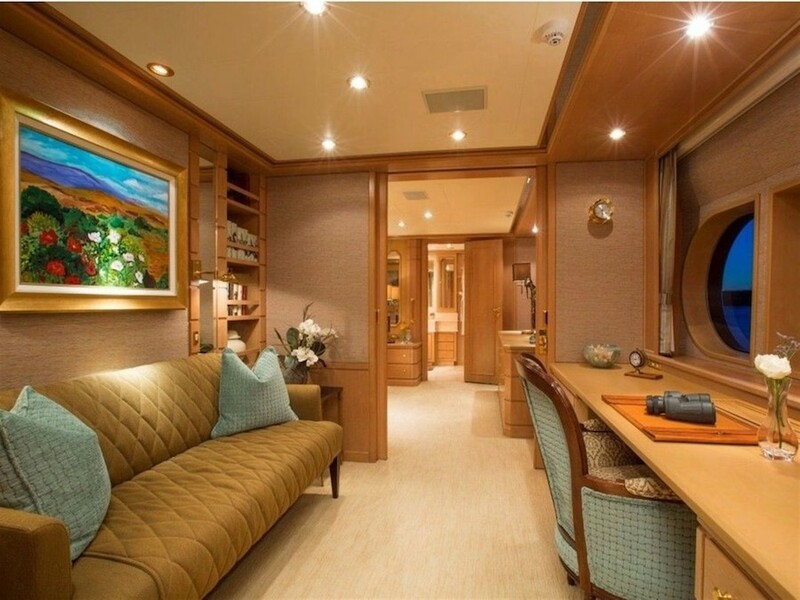 A partition separates the formal dining area from the main salon, where more contemporary styling is applied. 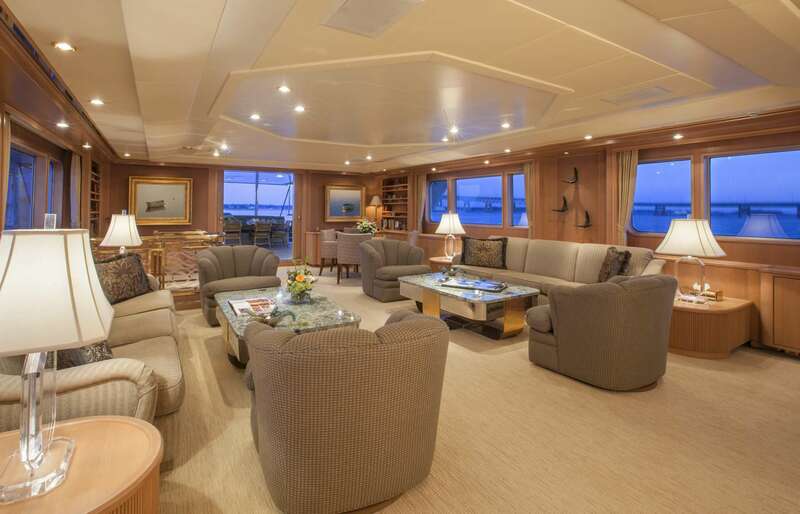 The lounge is mirrored on both sides by a large sofa, two armchairs and a table. 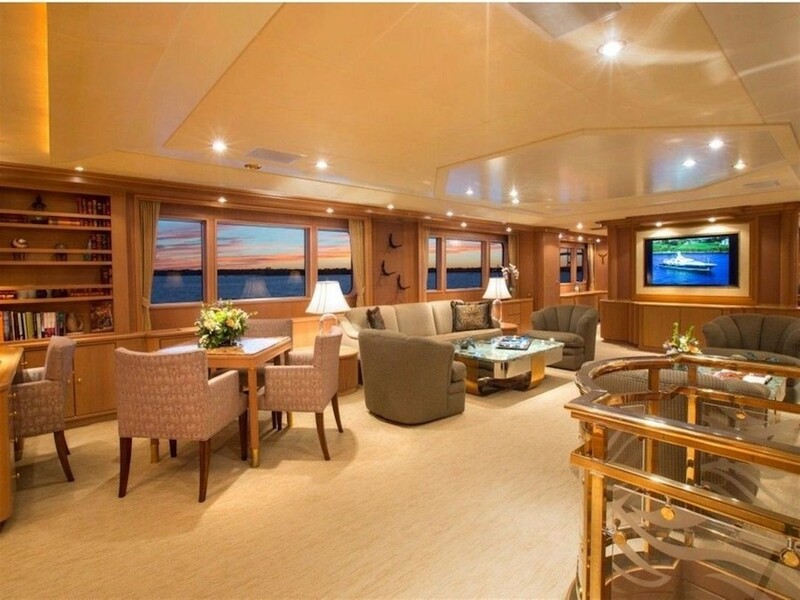 The port side also has a small table with chairs for games and conversation while behind there is a broad desk for work and reading. 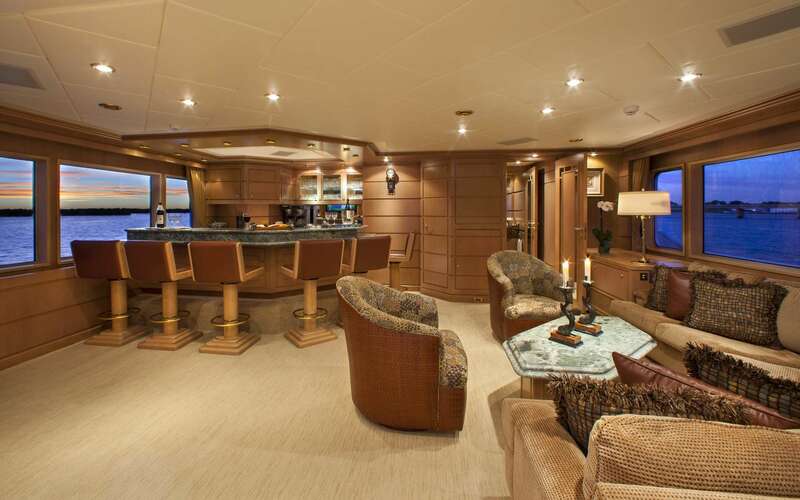 Above, the sundeck offers an alternative place for guests to relax in an earthy-toned environment fitted with an extensive bar with an excellent choice of spirits, and a large sofa and armchairs form the larger seating area with a table and two armchairs placed close to the port-side windows for incredible views while chatting or playing games. 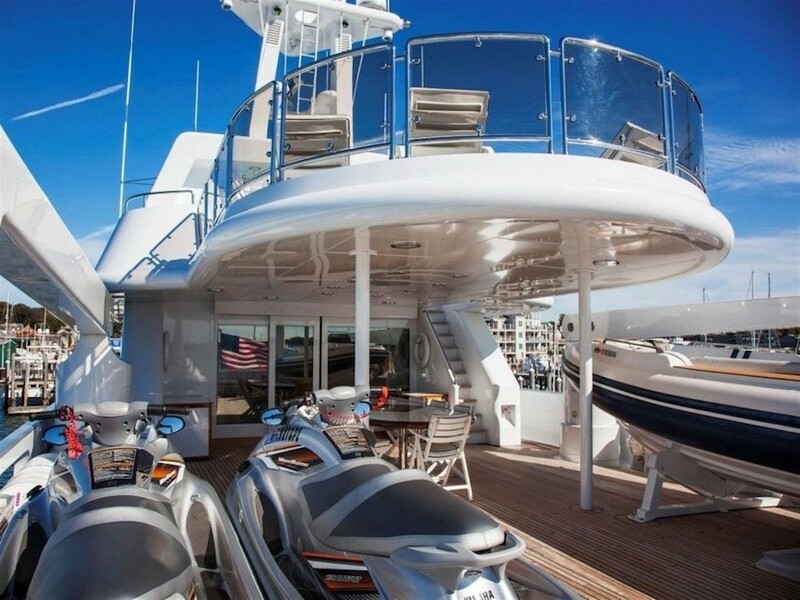 2 x Caterpillar 3512 DITA, 2350 HP engines have a cruising speed of 12 knots and a top speed of 15 knots. 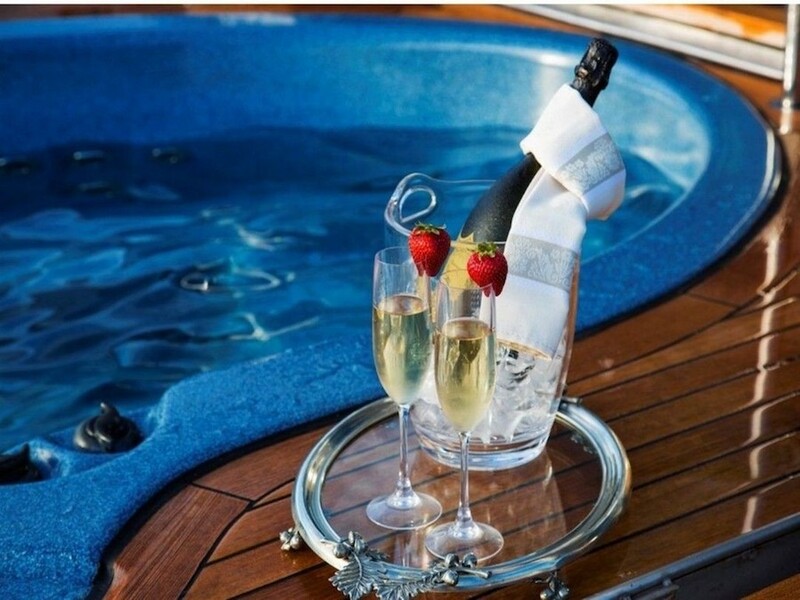 The accommodation sleep up to 12 guests over 6 cabins: 1 Master suite, 1 VIP stateroom, 2 double cabins and 2 twin cabins, each with en-suite facilities. 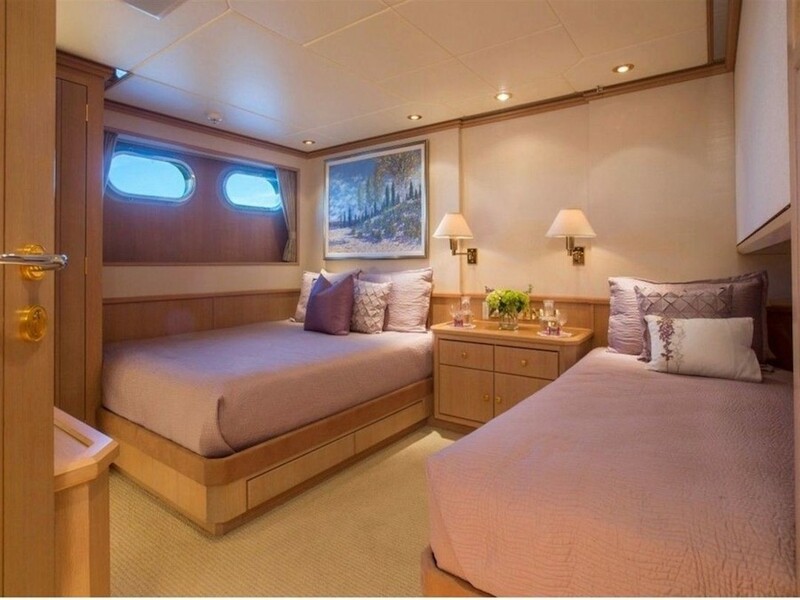 The crew accommodation sleeps up to 10.